RFID (Radio Frequency Identification) is a groundbreaking technology for tracking valuable assets. Now there is no need to store whole history and full description about them every time. RFID tags are the simpler way to track them. Every tagged asset can be tracked by interpreting the upcoming radio signals from each tag. Many companies are becoming interested in simple asset tracking solutions that can help track critical or valuable assets within a specific physical area or process under the company's control. Asset tracking enables organizations to know exactly what assets they own, lease, or control, as well as how those assets are being used throughout their life cycles, from acquisition all the way through disposal. Companies are looking to generate operating cost reductions by implementing improved asset tracking to enable reduced shrinkage, lowered maintenance costs, and optimized asset utilization. 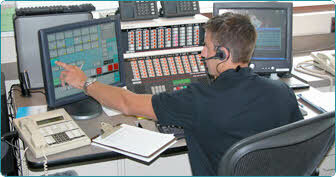 Provides IT Managers with a reliable tool to help keep track of valuable and portable items. RFID makes data entry more efficient and reduces errors inherent in manual tracking. Multiple items can be automatically scanned at once, which can save a significant amount of time. No ‘line-of-site’ required; auditors don’t have to see the tag, they just have to be with-in its read range. This means auditors don’t have to visually search for tag, or move / lift items to find the serial number or barcode tag. Passive RFID labels are now very affordable, only costing slightly more than professionally printed barcode labels. 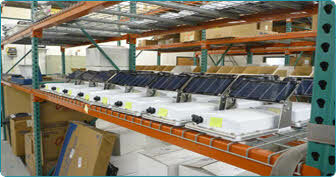 Whether used to compile an accurate inventory of assets or track the movements of assets in and around a given site, asset tracking solutions with RFID tags, can elimiate the need for direct scanning and reduce the time it takes to complete physical audits, making them a great selection for fixed asset managers.